Over the last week I’ve been recovering from a bout of the flu. Usually that would be some coughing, some aches and pains, and getting on with things – however this time around it was a pretty solid hit. I had to stop all projects and focus only on important family responsibilities and spend the rest of my time in bed. In the ensuing medicated haze, I not only couldn’t focus enough to work, but strange ‘coding dreams’ have left me unsure of what I actually tried to write, and what I only dreamt or imagined I did. So the next few days will be spent assuring myself that the some of that madness was only the bi product of copious amounts of nyquil and an overactive imagination. These were not enough to improve it’s own visibility without the aid of the ‘new release’ boost. These didn’t add to the visibility of the Paid version (although I did generate a couple of new sales , which did). No registrations occurred on the demo version – without ads, perhaps there isn’t enough impetus to warrant registering? No reviews occurred, except for one negative review (who found it ‘boring’). Retention, length of install, and length of play is MUCH greater on the full paid version. The number of downloads between these two groups, thus far, is IDENTICAL. So in reality there was very little gain from the free demo version at all. Now, take it as a given that I am NOT going to change my stance on freemium adware software (I’m not going to do it), I’m thinking about the work put in for the ‘registered demo version’ , how do interpret and use this information? Like in my heyday of playing, buying, trying to write games, people who want to buy a game will, and those that don’t won’t. No matter the circumstance. Those that won’t aren’t really bringing anything to my table in return, those that do have been generous with their support, both monetary, and feedback. So when you’re a single person with limited time and resources, it seems a no-brainer which group you should be spending your time and energy on. I’ll provide my new game (Vectoroids) to the paying customer and use the time and energy I would have sank into pushing a demo version into making a better game for them. 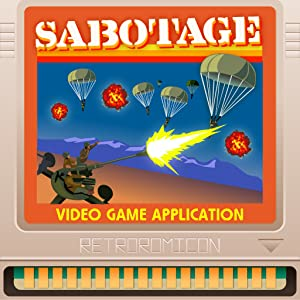 Of course I believe that people should have the chance to ‘try to see if they like it’ and so I’ll follow the model I used for the development of Sabotage and regularly release ‘state of play’ demos in the form of desktop executables. In a future project I will revisit the ‘free registered demo’ approach and release them both at the same time, but Vectoroids isn’t the game for that – It’s a much bigger project than Sabotage, will take more effort and more time to produce, and has a much deeper gameplay. It will be used to see if some of the marketing lessons bear fruit, and how I can get in touch with the first group of people, and trying to give them value for their money. Trying to find what paying customers would like for their hard earned dollar seems a more productive path. I think at this point it’s simply more respectful to give over more of my time and energy to those who are supporting my efforts and let them know that support is appreciated.